Season 4 of Downton Abbey might seem like more than a hop and a skip away for U.S. audiences, but ITV is actually gearing up for the U.K. premiere of the period drama. On Tuesday, the network released a slew of new stills from the upcoming Season 4, complete with captions. While they don’t tell us a whole lot about the upcoming episodes, they do give us a glimpse at what Matthew and Mary and Sybil and Branson’s children look like, as well as give us some glimpses at the gorgeous costumes and settings the show employs. Spoiler Warning If You Haven't Watched Season 3: Feel free to enjoy the images, but do not read any of the below text. Major events from the Season 3 are discussed. When last we left Downton Abbey, the show was dealing with a couple of dramatic deaths, thanks to actress Jessica Brown Findlay and Dan Stevens leaving the show. The actor and actress left behind families on the series, and both Mary and Branson had young babies as Season 3 ended its run. From the looks of the sneak peek image, the kids are starting to grow bigger and may even factor into the drama a little bit. I wouldn’t be surprised if there was some intense age-hopping, a la Modern Family, as well, but we’ll have to wait and see if that theory holds true. Season 3 also featured the addition of Lady Rose, and it seems like she will play an even more prominent character in Season 4. Hopefully, her days of hooking up with older men are well past her, but she should be reaching an age where husband hunting is not out of the question. 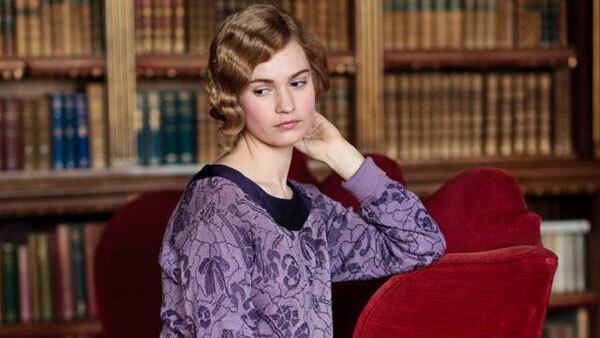 She’ll be a major part of the Downton household, and I can’t wait to see if she will manage to stay out of trouble this time around (unlikely). A lot of things may change in the universe of Downton Abbey, but a good many things remain the same. We don’t know a lot about the new season of the series, but we do know a slew of new names have signed on for the series, playing roles ranging from household servants to aristocrats living in British society. Some of the new cast members include Tom Cullen, Joanna David, Nigel Harman, Kiri Te Kanawa, Julian Ovenden, Gary Carr, and Harriet Walter. During the TCA summer panel, the show also released the official Season 4 cast photo. In addition to the actors who announced they were leaving before last season fully played out, Siobhan Finneran, who played Miss O’Brien, will also be leaving the drama, which means her sharp tongue and feuds with Thomas will no longer get to play out on the small screen. There’s no word on how the show will write off her character, but with all of the deaths we've been treated to, I’m assuming the writers won’t go gruesome. You can head over to ITV to check out the rest of the images.